It’s hard to go out to eat when you have little kids. They’re crawling under the table, jumping on the chairs, trying to maim each other with the silverware, and the minute you turn your back, someone’s spilled their drink all over the floor. Sounds like a great evening, right? Not so much. 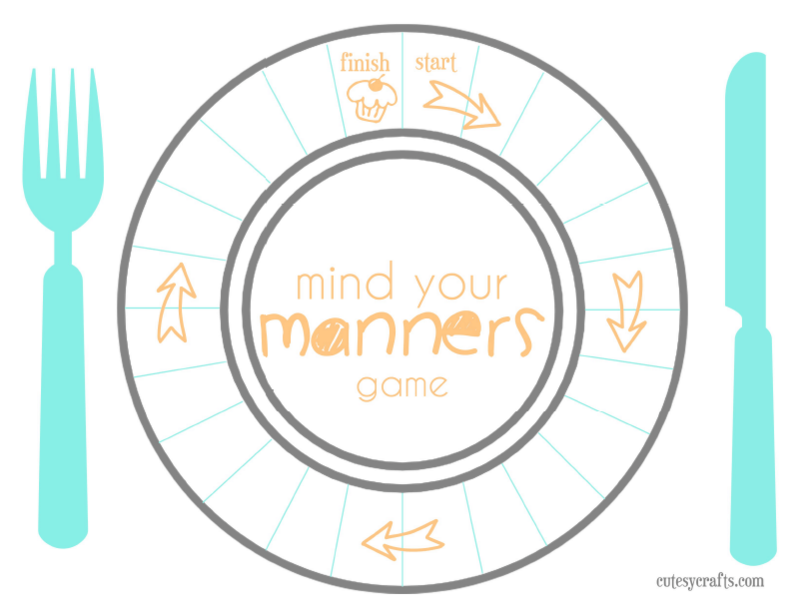 In an attempt to make our dining out experience a little more enjoyable I created a game to teach table manners to kids. 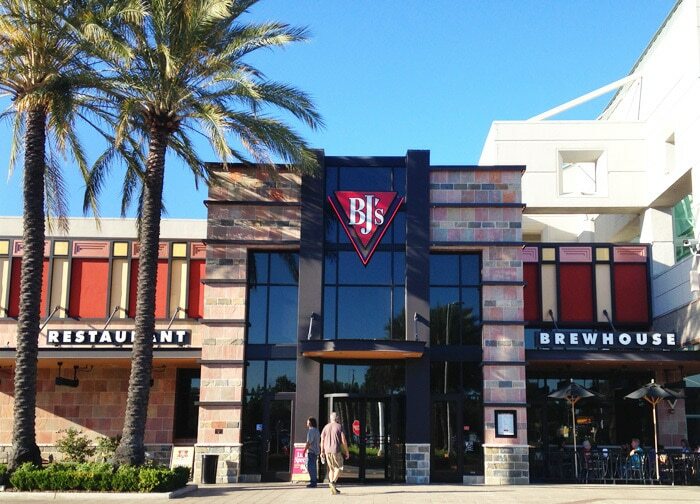 We also tested out the BJ’s Restaurant App that has Dine in Order Ahead and Mobile Pay features. 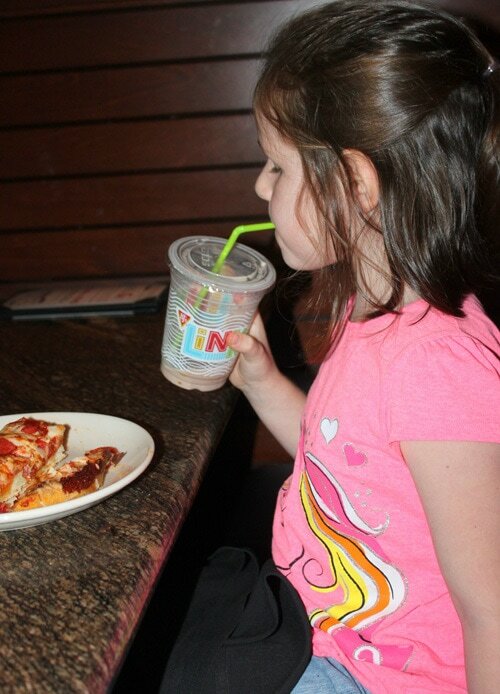 The Dine in Order Ahead allows you to order all of your food before you get to the restaurant. 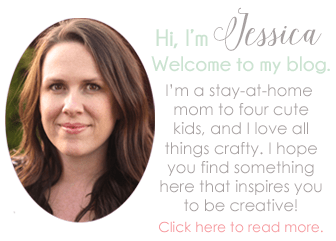 No waiting around for your order to get placed because it gets done as soon as you get there! 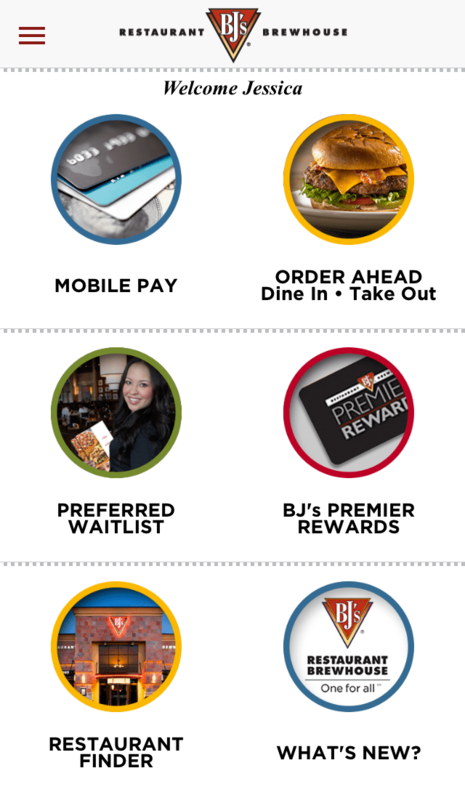 When you’re done eating you can pay through your phone with the Mobile Pay feature. 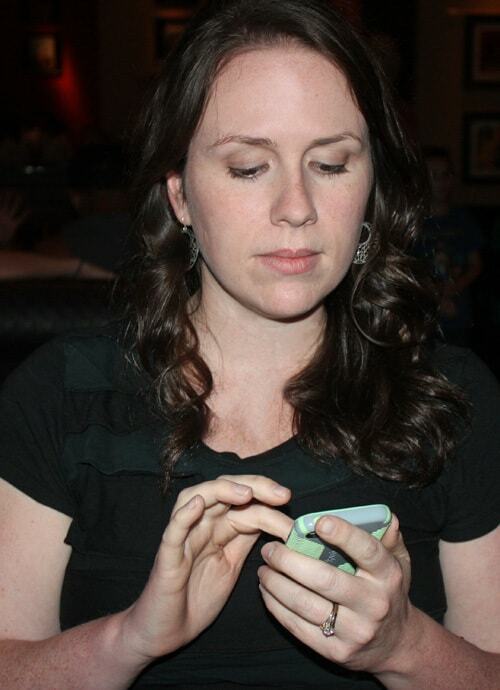 The app is available to download here for iPhone or Android. 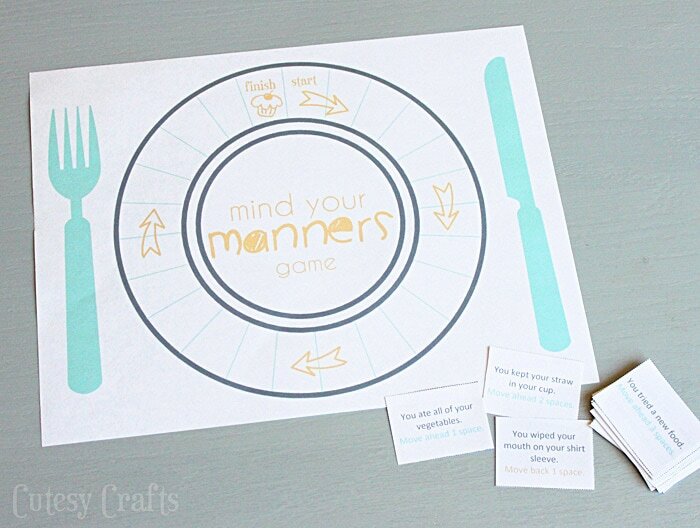 After I ordered our food at home, we played our “mind your manners” game. 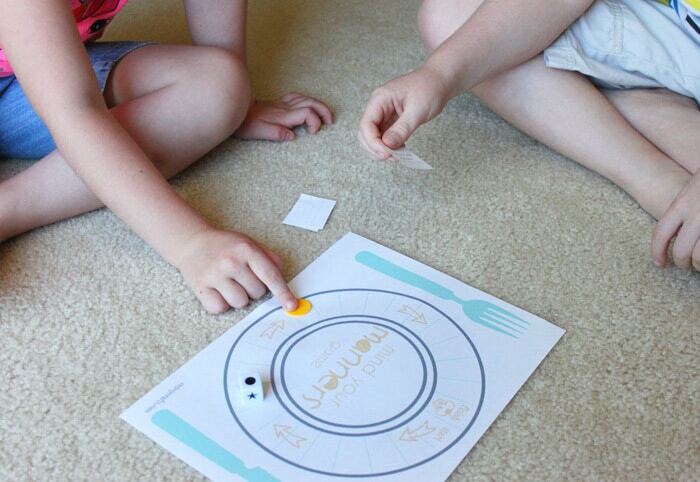 Use any kind of bead or token to be game pieces and place them on the start space. Take turns drawing cards. 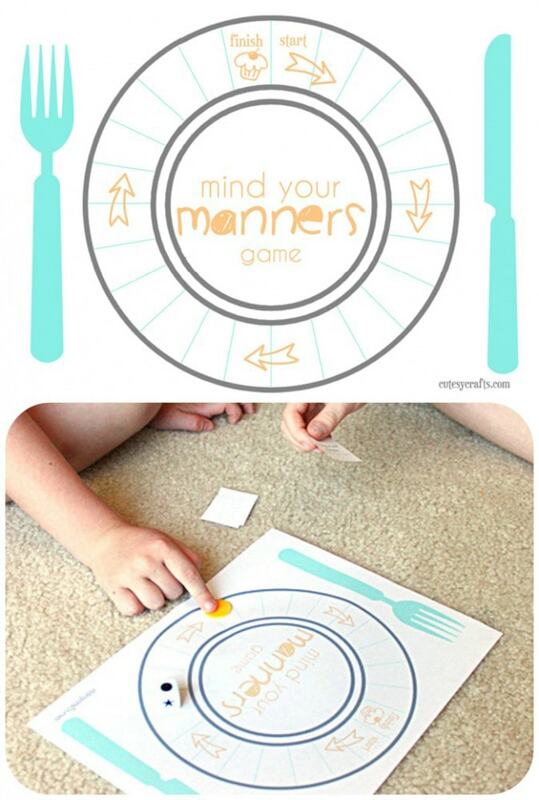 The good table manners cards will let you go forward, and the bad ones will make you go backward. First person around the plate wins! The kids had lots of fun with it, and learned some new things too. Download your own copy of the game to print here. Then it was time to go eat! When you use Dine in Order Ahead, they put your order in as soon as you get to the restaurant, cutting down on wait time. You also get put on the preferred waitlist so you don’t have to wait as long. 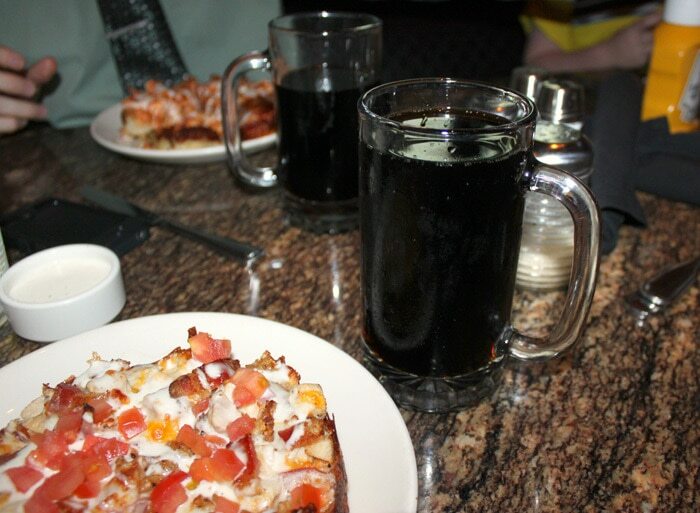 Pizza and handcrafted root beer in a frosty mug?! Yes please! 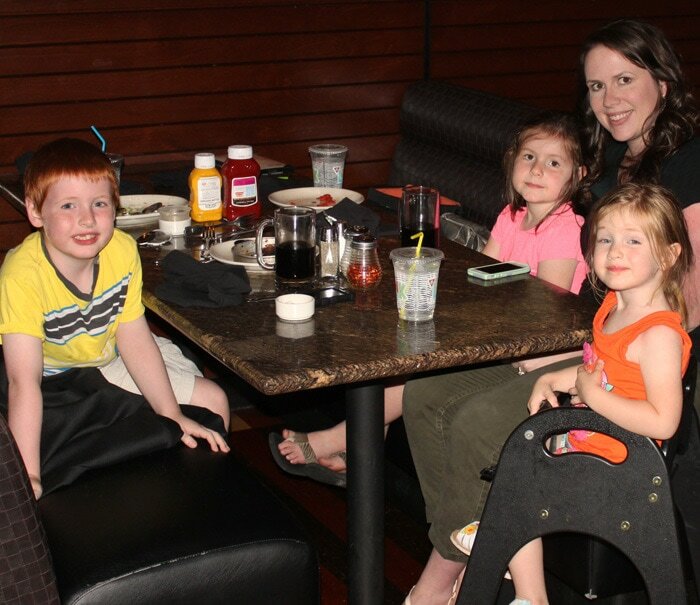 Usually when we’re done eating I have to take the kids outside while Joe waits for the check. The kids are done with sitting still at that point, and the chair jumping begins. This time, we chose to pay with the new Mobile Pay feature without waiting. It even had a really cool sliding tip calculator that made it a breeze to tip the waiter. Paid, ready to move on, and still smiling. 🙂 We still ended up with a cup of milk spilled all over the floor, but there are some things you just can’t control. Overall, it was a success! Love this game 🙂 Thanks for sharing! Thank you so much for this❤❤❤ This is definitely going to be helpful!